Built in the Belfast shipyards of Harland & Wolff, the RMS Titanic was the pride of the White Star Line. 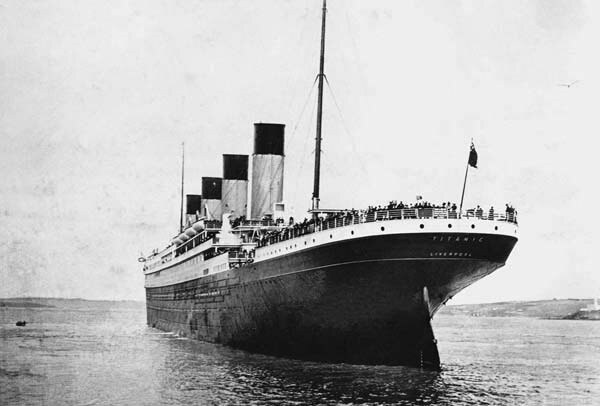 The second of the Olympic Class liners, she was hailed as the biggest, fastest and a little too hastily, unsinkable. Her name has transcended maritime history into global legend. The construction of the ship began in 1909 in the famous shipyards of Harland & Wolff. 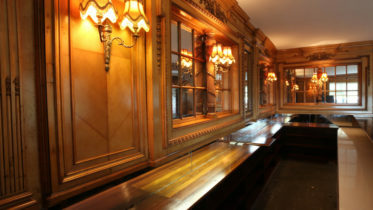 The ship took three years to build with Co. Down man Thomas Andrews her chief designer. On the 10th April 1912, the RMS Titanic set sail on her maiden voyage from Southampton to New York. Crowds lined to the docks to bid fair well to what should have been the glorious first sailing of the luxury liner. After a brief stop in Cherbourg the next day the Titanic called to the port of Queenstown (now Cobh) where her final passengers boarded, and a lucky few departed. Only fours days in the voyage would come to an end. At 11.40pm the night of April 14th around 600 km south of Newfoundland the Titanic struck an iceberg. Water filled five of her sixteen watertight compartments and the ship began to sink. Passengers rushed to the lifeboats but there wasn’t enough. At 2.20am she was gone, of the 2,224 passengers and crew aboard, more than 1,500 were lost that night. The RMS Carpathia was first on the scene to help. She was sailing from New York to Fiume in Austria-Hungary (now Rijeka, Croatia) when she received the distress call. They diverted course and headed through the dangerous ice fields to aid the sinking Titanic. They arrived two hours after the ship had sunk but they managed to rescue 705 survivors from the lifeboats and freezing waters.